The fully upholstered sculptured seat and back provide exceptional support and comfort. The Giggle can be supplied with a choice of sledge, four leg fixed and auto return chrome bases. 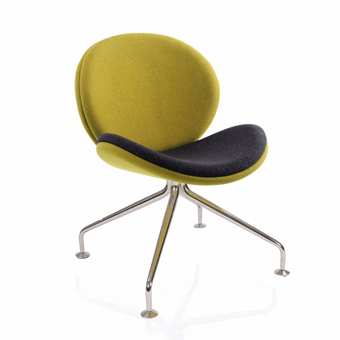 With the option of two tone fabric on both the seat and back, the Giggle is the perfect style statement for a modern hotel, reception or breakout area.